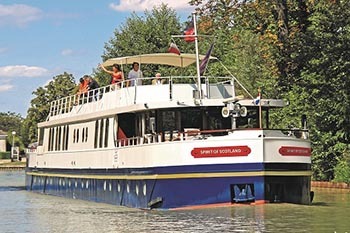 AmaWaterways (www.AmaWaterways.com), the world’s leading river cruise line, today announced a new program, inviting solo travelers to experience its luxurious accommodations and amenities at no additional cost. Through this program, a number of base category, double-occupancy staterooms will be available on every sailing for booking by solo travelers without the additional single supplement fees. Guests traveling solo can now reserve these spacious staterooms on any Europe, Asia or Africa departure, based on availability. *All rates are per person for cruise only itineraries, based on an entry level category stateroom unless stated otherwise. Offer is not combinable with any other promotions/discounts, is capacity controlled, and is limited to availability.